Card counting is "cheating" only as defined by the casinos as it obvioulsy puts "The House" so far behind the 8-ball that it's not even on the same billiard table. Card counting is a SKILL related to the inherent qualities in playing cards not "cheating" – cards is al about numbers and counting – just not if it pit the casino at a disadvantage greater than that of their victim/player. Not sure what Jesus would think of it, but not sure what He would think of a LOT of things 2000 years after He was here....". This is a perfect example of the unaccountability of sin that's built into christian law. Violate a civil law, however, and you will be held accountable, that's why many christians don't like civil laws because there are real consequences. You are ignorant of the letters of St. Paul admonishing those with such justifications for sin. Vegas wants you to TRY to count cards, they just don't want you to be successful. Proof? Vegas could put a stop to card counting today by simply using a new shuffled deck for each hand. But they know that blackjack would lose it's appeal if the POSSIBILITY of being successful via card counting was eliminated. Sin? No one got hurt, least of all the casinos, so there was no sin. More praying is done in casinos than in churches. Some christians are pretty good at justifying sin in the name of God, it's human nature. After all, since they know they will be forgiven, it's acceptable to go ahead and sin. Therefore, to them intentional sinning is not a problem and the only thing they have to worry about are the civil laws, not their religious laws. Why be so public in your ignorance of St. Pauls letters to those who advocated such nonsense? Two hands working without plan or purpose do the work of a fool. Prayer is talking with God, prayer gives plan and purpose. It is an arrogant position of rebellion, perhaps rooted in the delusion of self-efficacy. But at least not as ignorant or lazy as claiming agnosticism. Prayer has been essential in all the areas saberage mentioned. In amputations for some time now medical science working in partnership with God have been given the knowledge and skills required to re-attach severed limbs. Even now people are working in the field of regeneration. Knowledge made available because someone asked God for it. The same could be said for all the other afflictions mentioned. What exactly are the names of the medical centers where prayer is part of the regeneration research protocols ? The only thing the label christian tells you is the kind of language someone will use when they justify behaving in a manner that is no better than any other self identified group, and often worse. Would christians protect child predators? The pope did. Would christians commit genocide? All the time. Rwanda is over 80% catholic. Do christians cheat on their spouse? Sure do. ask Gingrich. Ask Mark Sanford. Everyone's god or savior somehow approves of them no matter what. Isn't that precious! Limited knowledge is a dangerous thing CJ. Every religion requires contrition and reformation as a condition of forgiveness. Try to base your anti-religious views on the ideologies, not the universal failings of human beings. Yet another swipe at Christianity by CNN. This one is even more ridiculous than most of the others. They must be running out of stupidity - no, that could never happen. CNN: Where it's okay to be a bigot as long as it's bigotry against people who they hate. CNN reported a story about a movie that the christian card counters put out into the world, CNN did not dig it up by themselves and out these folks. No blame to CNN at all, again, they're reporting the news like they always do. Perhaps you would be happiers with CNN if they didn't report the news at all and just had weather and ads. I am not religious, but this guys is tying his faith to his behavior in order to create sensational material and sell his book. Hopefully he gets caught and gets a hammer to the nads. For sure, liberal media does not imply fairness to Christianity. You are trying to defend present day Christianity and it is not worth defending. It has been so diluted and manipulated to hardly resemble its true origins. Did you know there were teachings of reincarnation in the early church? The Father as presented to us by Jesus is not the same as this Jehovah of the Jews or the Allah of the muslims. But all true seekers eventually are exposed to the truth regardless of the manipulations and lies. That can't be stopped. CloneFox uses the "straw man" argument against a failed version of "Christianity" to justify rejection of today's Christianity, perhaps to justify the revisionist claims of Islam, Mormonism, and Jehovah's Witnesses. I count myself as a Christian, The Bible shows Jesus doing many activities but not gambling. It also indicates that Jesus and the disciples carried money as they traveled. Certainly gambling existed at the time of Jesus. 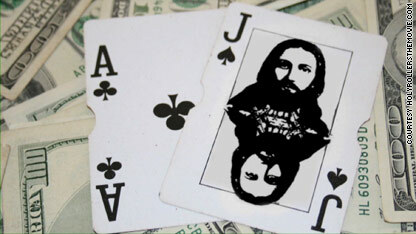 If anybody could have won at gambling, it would have been Jesus and likely his disciples. And yet Jesus is not recorded as having participated in gambling. Add to that most people do lose at gambling, I believe Jesus would not have supported gambling in his name. Paul told the early christians not to do activities that would cause weaker christians to fall into sin. An example might be to not drink alcohol in front of a reformed alcoholic. Jesus also predicted the end of this world in the lifetime of his listeners. See mark ch.9 verse 1. And again in ch 13. This was what jesus thought. It is also what Paul thought. And John the baptist. And the essenes (who wrote the dead sea scrolls). They were part of a sect of judaism known as the apocalyptics. But they were wrong. All of them. No end of the world. No son of man coming in glory. Its all a fairy tale. Jesus did not need to work or gamble to live. He was able to obtain what he needed and was not after worldly riches. He could have been very wealthy is he chose. 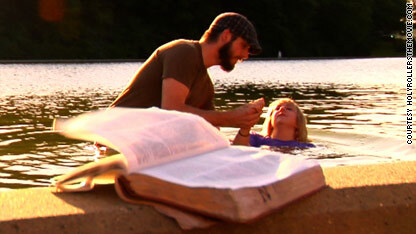 That is a foolish idea injected to keep Godly people controlled. All people of God are by its very nature able to obtain riches beyond measure. It is the very nature of being close to the True Source. Organized religion is just a layer being used to control us and it keeps us from our inheritance. Evangelicals know this and manipulate it to their own ends. Very well reasoned ChristianGuy. Your detractors, of course, will cherry pick passages to challenge every assertion. But we know the blessings of unmerited grace through our Savior, not the partial redemption of religions that require works to supplement. Jesus didn't have a family either. Guess you can't do that . Jesus did not predict the end of the world in His disciples lifetime. That is a total misunderstanding of scripture, and you are not the first to make that mistake. Some early believers assumed that position and sat down to wait, they were corrected by the apostles. Jesus knew the Bible, The Old Testament scriptures and when referencing the end times He clarified what was being said by the prophet Daniel. Explore the entire subject before commenting and you can be amazed at what is presented. Jesus said "THIS generation shall not pass away etc". Whenever you people need to correct something, you as'sert "oh he meant something else". BS He was obviously WRONG. Get over it. I don't think Jesus cares for such trivial things. More important is how the money was obtained and that seems legitimate and what is done with it. That is up to the individual. Freaking religion, always trying to control us to their benefit. Religion is man made. A church's job is to minister to the people not the other way around. They all do it but the worst of them all are Evangelical nuts and conservatives. I judge them to be less than they sought to be and not following Jesus's true teachings. Yes Clonefox, there are subtleties to be fathomed. I too object to the televangelists asking for seed money, and guaranteeing a great personal harvest, and what about those requesting money to transport Russian Jews to Israel, to help bring about the end times. No wonder the Mormons tossed out the old, and brought in their own version, same for the Witnesses and Mohammend, based on what they saw as the errors at Nicaea in the third century, rejecting Paul's claims about the Divinity of Christ. Just goes to show you that Christians are no more honest than anyone else. As a matter of fact, they are often less honest and moral, because they feel that their imagined "forgiven" and "saved" status makes them above man's laws and forgiven by their god no matter what. You fail to understand St. Paul's admonitions to those who thought that way; contrition and reformation are required. As Jesus said, "you are forgiven, go and sin no more"; a statement that attests to his Divine nature, not a created spirit brother of Satan as claimed by the Mormons. This is one of the evils of life in CAPITALISM. Of course Jesus, and all those "deity beings" created, are for the purpose of the smart few to rob the "Many gullible". Let's all unite to distribute the wealth from thoe "1%" of the U. S. population. I came straight here to leave a comment, without even having to read this article. God does not condone gambling. Period. It is a sin and can threaten lives and break up families. Nah. I've spoken to God and he thinks it's fine. Doubt it? Prove me wrong. How do you know this? Did God personally spoke to you about it? Once people understand and do something about the enslaving part of a made up and manipulated religion, they are on the way to Freedom. Freedom leads towards God unconditionally by its own nature. It is easier than being evil. I'm here to confirm that I told her it's fine. Don't doubt this or you will go to Hell. Gambling is mentioned and explained in detail in the Book of Ruth for all you non believers. well, hold on, it WAS before man started rewriting my Bible. Yeah, it's basically a book written by man at this point so is it or is it NOT the word of god? hmmm...yeah, I'm just going to keep referencing the Book of Ruth because no one knows what's there...especially the so called Christians. what do expect in vegas? lol again another worthless attemp to blame Jesus on something that man does. OH BOY!! Watch out, Jeebus is gonna be mad now!!! How right you are m Derosa. Hey, Jesus also forgave adulterers. So I'm not really cheating on my wife, since Jesus would forgive me. No, you're still cheating on your wife......you're just forgiven. Your logic is flawed. I would hope that if I had a little face time with Jesus that we would discuss more pressing issues. As for counting cards, I can do it and do it well. I just have one of those brains that makes it easy. Sadly that same brain makes me terrified of social events, elevators, clowns, cars and umbrellas. Card counting is NOT cheating. The Casino's say it's cheating because they lose money. The "counter" is using only their brain to decide their actions. If I can think my way through a round of Blackjack and win money, how am I cheating? And as far as "What Jesus would do? ".......he wouldn't watch CNN or read CNN.com. I think it is an interesting question, is it gambling or not? I’m inclined to say no. On the other hand is it an honest way to make money. That is where I may falter. With frends that are unaware that such a thing can happen, then I think it is taking an advantage of your friend(s). For some reason I see nothing wrong with it in a house of gambling, such as those in Las Vegas. If the proprietors know that there could be big looses to a person who may be a “counter” that is a chance [gamble] they take. They are in the business of “taking” money from people who they know have very little chance of “earning” (I use the term loosely) money. I think it is absurd to call it cheating. It is a science. I don’t know if Jesus would approve, but I think He would rather a person get a more productive occupation. Even in the Bible, gambling is used to make decisions, but I, like most others, believe that God controlled the “roll” of the dice. If the “games” played in gambling houses were a 50 – 50% chance of both parties winning, I can say with out hesitation that there would be no gambling casinos in Las Vegas or anywhere else. Any mature, thinking person knows the “house” has the overwhelming advantage of winning. There is a better chance of being hit with lighting than winning big at gambling.